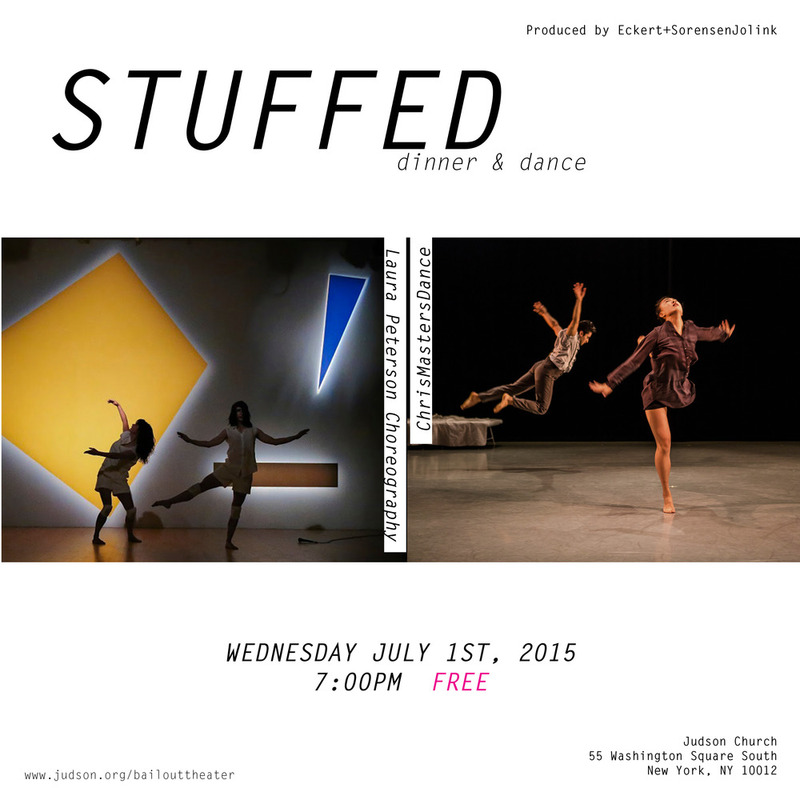 STUFFED Arts responds to the need for accessible performance arts, meals, and education for a hungry community. 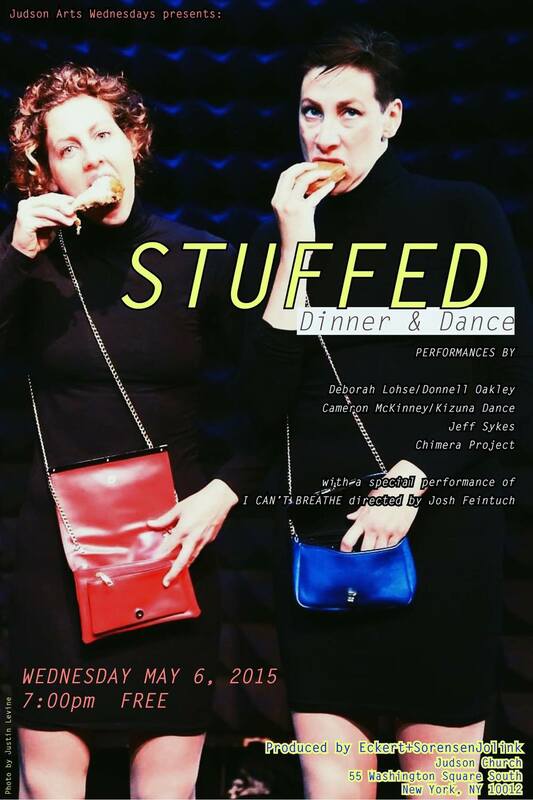 STUFFED: Dinner + Dance is a low tech/high visibility performance platform that provides an evening of free food and dance performance to the public. The evening begins with a home-cooked meal sourced from local restaurants and volunteers from the Judson Church community and closes with a succinct selection of tasty dance entertainment. No cost, no catch, no proselytizing, no processed food. Since being established in 2011, STUFFED has presented over 100 dance artists from NYC and the surrounding areas and been host to 2,500 (and counting) audience members.